Strength. Confidence. Peace of Mind. J. David Ford Construction specializes in all residential seismic retrofitting, foundation repair, replacement, and structural repairs. With over 30 years experience in the Bay Area, J. David Ford has the knowledge, experience and resources to provide you with the highest quality work at the greatest value. J. David Ford Construction offers a full range of seismic retrofitting services to East Bay residents. A sound seismic retrofit will prevent the tremendous damage that can be caused by a strong earthquake. 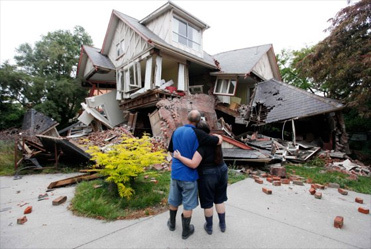 A seismic retrofit is only as strong as the foundation upon which it is installed. J. David Ford has the knowledge and experience to repair and/or replace concrete foundations in conjunction with a seismic retrofit. As homes age and are exposed to the elements, the likelihood of structural damage increases. J. David Ford knows the importance of addressing and preventing conditions that lead to significant damage. Many homes in the Bay Area were built before Building Code standards for seismic strength were enacted. Engineers have identified many well-known structural deficiencies that can be corrected with a sound seismic retrofit. Studies and past experiences have demonstrated that wood frame homes that have been retrofitted can escape the devastating damage from an earthquake. How do I know if my house needs retroﬁtting? Do I need to hire an engineer in order to earthquake retroﬁt my home? What are the main components of a seismic retroﬁt? How disruptive will the earthquake retroﬁtting work be?